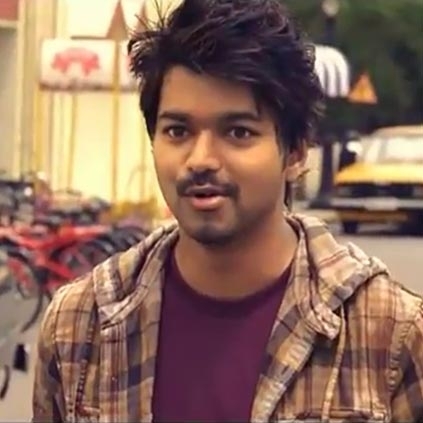 Home Tamil Cinema Latest News New Year treats for Thalapathy Fans…!! More Expectations. Actor Vijay’s bairavaa movie is ready to releasing for Pongal special. And it’s a treat for his fans. Now this movie post production is rapidly going on. In this film first time Actress Keerthi Suresh pairing with Actor Vijay. Already, Bairavaa teaser also releases in websites and they got good criticizing comments. First Bairavaa songs are released on before Christmas. And it also doubles for Thalapathy fans. Now they team officially announces, bairavaa trailer are releasing in coming New Year. So Thalapathy fans are very excited and eagerly waiting for this double treat. Previous articleFamous Actor emotional talk with Actor Ajith!!!! Shocking news…. Next article VIP-2 movie Kajol’s role is secretly release…!!! !